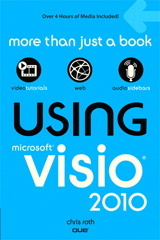 Relatives ask me now and again if That Visio software can help me make quilting patterns?. I start to answer Well, maybe… and then we get side-tracked by family gossip and questions about When ya moving home?, etc, so nothing ever comes of it. Between my relative’s inquiries and the decent traffic for the article: Visio for Fashion Design?, this seems to be a niche with more than passing interest. On a recent trip to the Great Northwest and the Land of Microsoft, the sewing question arose yet again, but this time I had a large swath of fabric at my disposal.